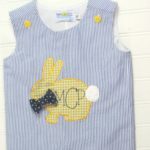 Handmade & original nursery decor, personalized just for you. Modern nursery style with a vintage feel! Trendy Changing Mat Covers to diaper baby in style! Modern fabrics and the pads fit all standard sized changing pads!